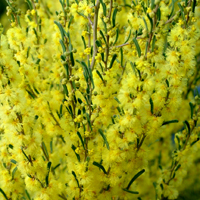 Description: Adaptable fast growing 1-2m dense shrub with pale yellow flowers July to September, delicately perfumed. Needs well drained soil. Will grow in dappled shade, but best in partial or full-sun. Responds well to pruning. 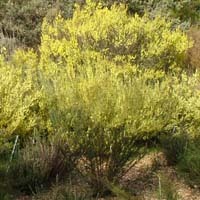 This plant is considered rare and endanged.